A Best Seller! 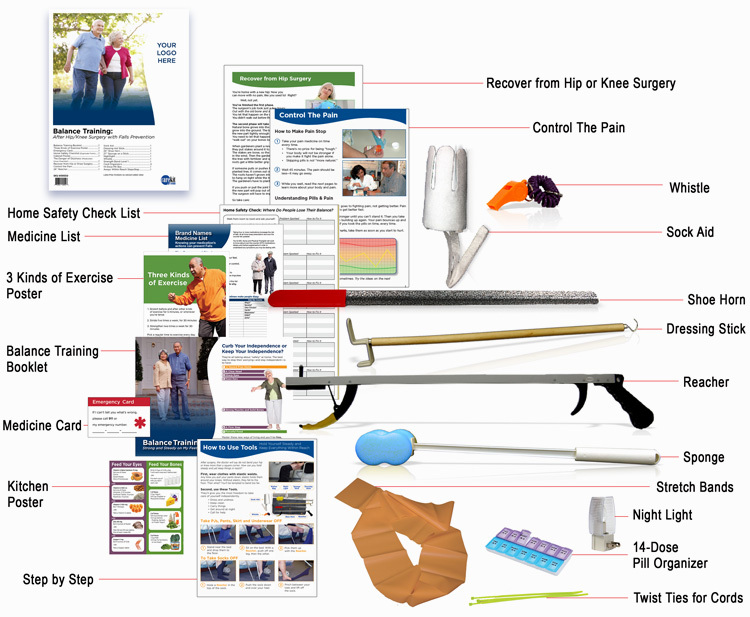 This Care Kit combines Hip & Knee recovery with Falls Prevention to make one comprehensive long-term care plan. The step-by-step instructions and tools prevent readmissions, especially for 90-day bundled-payment plans like CCJR and BCPI. Large print and color photos with clinically-vetted tools promote maximum independence and recovery. And it saves time! No more running from store to store.